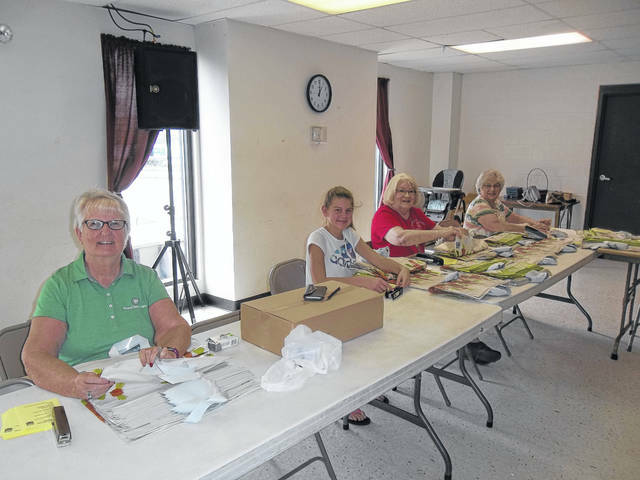 Gallipolis First Church of the Nazarene Mission Dept is gearing up for our 6th Annual Hunger Bag Ministry made possible by five local churches in our community that fill the bags with non-perishable items. Nazarene First, Elizabeth Chapel, Church of Christ & Christian Union, River City Fellowship, and Vinton Baptist. The goal is to get ten churches involved. These items go into the county and city school systems for children at Thanksgiving. If there are other church that want to participate they can call Sharon Harmon at 425-306-7438.
https://www.mydailytribune.com/wp-content/uploads/sites/42/2018/08/web1_003-1-.jpgGallipolis First Church of the Nazarene Mission Dept is gearing up for our 6th Annual Hunger Bag Ministry made possible by five local churches in our community that fill the bags with non-perishable items. Nazarene First, Elizabeth Chapel, Church of Christ & Christian Union, River City Fellowship, and Vinton Baptist. The goal is to get ten churches involved. These items go into the county and city school systems for children at Thanksgiving. If there are other church that want to participate they can call Sharon Harmon at 425-306-7438.